Whenever Google makes a major change to the SERPs, it’s big news – and March was certainly no exception. Google’s decision to scrap ads from the right-hand side of the SERP was the topic of discussion among the digital marketing community, and for good reason. It’s one of the biggest changes Google has made to its results pages in several years, and advertisers and marketers alike immediately began speculating what the change would mean for them. Of course, although the banishment of ads from the right-hand side of the SERPs dominated much of the conversation, it was far from the only news in digital marketing. Here are the top posts from the WordStream blog from March, so if you missed any, grab a coffee and catch up. Even if they won’t admit it, even the most confident advertisers secretly want to know if their account performance measures up to their competition. Fortunately, our most popular post from March allowed readers to do just that. WordStream’s resident data scientist Mark Irvine explores a vast wealth of AdWords benchmark data in this post, and the results have been beautifully packaged into an infographic so you can check out how you stack up quickly and easily. A couple of months back, I wrote a post about Google’s emerging artificial intelligence machine learning program RankBrain, speculating on what this amazing technology could mean for SEOs. Well, Larry explores this notion in great depth in our second-most popular post of March, in which he outlines (or prophesies, if you prefer) four detailed SEO strategies you’ll need to adopt in order to survive “SEO Judgment Day.” Be warned – if you haven’t seen any of The Terminator movies, many of the excellent references and in-jokes may be lost on you. Believe it or not, there’s a great deal more to Google’s decision to remove ads from the right-hand side of the SERP than initially meets the eye. Although we’re still gauging the true impact of this monumental change, there have already been several revealing observations that hint at what advertisers can expect from Google in the future. Check out our examination of the current state of play with regard to the SERP change in our third-most popular post of the month. As is the case with many aspects of conversion rate optimization, creating compelling calls to action is one of those topics our readers simply can’t get enough of. In this post, I outline seven ideas for strengthening your calls to action, so whether you’re a seasoned veteran of CRO or just starting out, you’ll find plenty of actionable CTA tips in this post. The initial news that Google had killed off ads from the right-hand side of the SERPs was, quite honestly, a little shocking. It didn’t take long for shock and disbelief to transform into worry and speculation, and this post was among the first to break the news of Google’s major SERP shake-up. 6. Our 8 Best Copywriting Tips… Ever! Writing excellent PPC ads is a lot harder than it sounds. Sure, your ads might be good, but are they great? For this post, I went back over our very best copywriting advice from the past several years and updated it with fresh new examples. If you want to write even better ads to increase your CTRs, check out our best copywriting advice ever and see how many of these strategies you’re using. You could be forgiven for thinking that three weeks would be long enough for the excitement of Google’s decision to axe right-side ads from the SERPs to die down – but you’d be mistaken. In this post, Erin looks at five more takeaways that advertisers need to know about how the new SERP will affect their campaigns, each of which is backed with plenty of data. To many advertisers, Facebook is a platform they know they should be using, but may not necessarily know how. Fortunately, Margot’s got you covered in this post. By the time you’re done reading, you’ll have 10 actionable – and easy – ideas for future Facebook marketing campaigns. Yes, you read that correctly. In this post, Larry rounds-up 29(!) PPC tools that can simplify your workflow, make your life as an advertiser easier, and help you run faster/jump higher etc. Well, maybe not the last bit, but you get the idea. 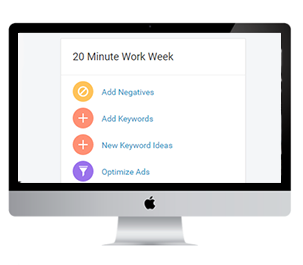 Check out Larry’s list and see if any of these tools are a good fit for your PPC workflow. Our last post of this month’s round-up wasn’t actually published in March, but rather January. In this post, I highlight 25 (a mere handful, really) of the must-read digital marketing news sources that should most definitely be in your RSS feed. If the events of March were any indication, it’s no wonder our readers are so keen to stay in the loop.